Off-Day Activity Fishing or kayaking / ADV motorcycles. 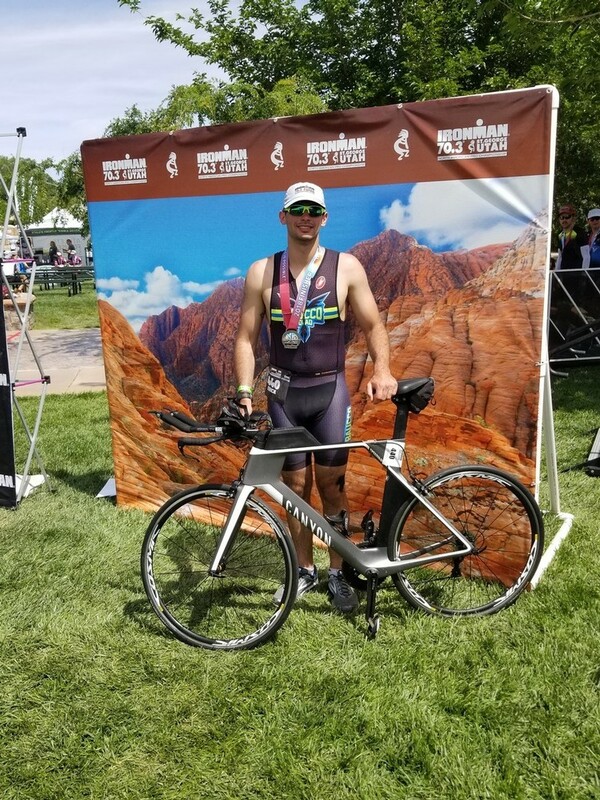 I started my IRONMAN journey in 2017 with my very first 70.3 and triathlon. I began this journey to quit smoking cigarettes. I followed this race up with Ohio 70.3 where I beat my PR by 15 minutes thanks to my great coach Ryan Mcready. I then went on to compete in 70.3 St. George where the heat and the hills made this the hardest race I have ever completed. After these races, it was time for a full. I chose IRONMAN Canda to be my first. I completed this in 15 hours (thanks to the heat). I think decided to try again at IRONMAN Louisville where the cold was the culprit to a difficult race. Ultimately a work injury required me to give up swimming, therefore IRONMAN racing. A.J. Baucco hired me on as team assistant to assist with the daily functions on the teams and help everything run smooth.